Rick R. Reed Reality: My Gay Horror Collection, UNHINGED, is OUT NOW! Horror. Romance. 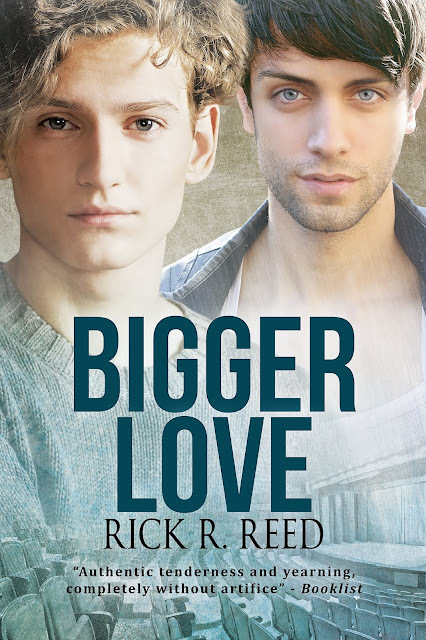 The two seem at odds, yet in provocative author Rick R. Reed’s hands, the pair merge like a match made in heaven ... or hell. Prepare for a dark journey into an unhinged world populated by ordinary and extraordinary monsters. Unhinged brings you sometimes chilling, sometimes romantic, sometimes hilarious, but always thought-provoking tales. Among them you’ll find a chilling and redemptive ghost story, a most unusual and shocking first meeting for two lovers, a story revolving around one of the 20th Century’s most horrific serial killers, and a darkly comic take on the vampire mythos. This collection will make your heart race with passion ... in all its forms. Contains the stories: Echoes, How I Met My Man, The Man from Milwaukee, Sluggo Snares a Vampire, The Ghost in #9, and Incubus. EXCERPT FROM "The Man in Milwaukee"
Dahmer appeared before you in a five o’clock edition, stubbled dumb countenance surrounded by the crispness of a white shirt with pale blue stripes. His handsome face, multiplied by the presses, swept down upon Chicago and all of America, to the depths of the most out-of–the-way villages, in castles and cabins, revealing to the mirthless bourgeois that their daily lives are grazed by enchanting murderers, cunningly elevated to their sleep, which they will cross by some back stairway that has abetted them by not creaking. Beneath his picture burst the dawn of his crimes: details too horrific to be credible in a novel of horror: tales of cannibalism, sexual perversity, and agonizing death, all bespeaking his secret glory and preparing his future glory. Emory Hughes stared at the picture of Jeffrey Dahmer on the front page of the Chicago Tribune, the man in Milwaukee who had confessed to “drugging and strangling his victims, then dismembering them.” The picture was grainy, showing a young man, who looked timid and tired. Not someone you’d expect to be a serial killer. Emory took in the details as the el swung around a bend: lank pale hair, looking dirty and as if someone had taken a comb to it just before the photograph was snapped, heavy eyelids, the smirk, as if Dahmer had no understanding of what was happening to him, blinded suddenly by notoriety, the stubble, at least three days old, growing on his face. Emory even noticed the way a small curl topped his shirt’s white collar. The el twisted, suddenly a ride from Six Flags, and Emory almost dropped the newspaper clutching for the metal pole to keep himself from falling. The train’s dizzying pace, taking the curves too fast, made Emory’s stomach churn. Milwaukee Medical Examiner Jeffrey Jentzen said authorities had recovered five full skeletons from Dahmer’s apartment and partial remains of six others. Emory read that the killer had also admitted to cannibalism. “Sick, huh?” Emory jumped at a voice behind him. A pudgy man, face florid with sweat and heat, pressed close. The bulge of the man’s stomach nudged against the small of Emory’s back. Emory hugged the newspaper to his chest, wishing there was somewhere else he could go. But the el, at rush hour, was crowded with commuters, moist from the heat, wearing identical expressions of boredom. Emory wished the man would move away. The sour odor of the man’s sweat mingled with cheap cologne, something like Old Spice. Hadn’t his father worn Old Spice?